Hong Kong has been under British influence for a long time & as a result of being Cantonese Chinese you can find multiple personalities over here. The former British colony is a major tourism destination for international & domestic visitors. With global connections to many of the world's cities it is also an important hub in the Chinese Diaspora. You can find cultural influences from places as diverse as Vietnam and Vancouver, thus making Hong Kong a unique & special place. The Hong Kong Special Administrative Region of the People's Republic of China is definitely much more than a conventional harbor city. 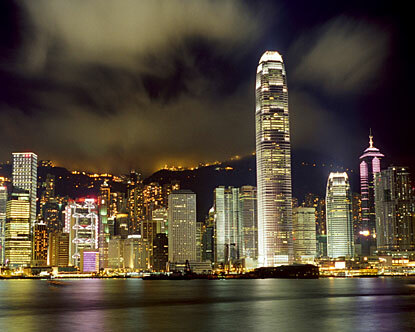 The crowded streets may be tempt a traveler to describe it as Hong Kong as a concrete jungle. Yet, the cloudy mountains and rocky islands make it a rural landscape. As Hong Kong carries a subtropical climate, at least one season would definitely match your comfort zone. Undoubtedly with one of the world�s best airports, it is the ideal stopover for those who wish to travel deeper into the Orient. For travelers who love warm, dry and sunny weather,the ideal time is October to December. Those who want to be away from the humid zone will appreciate the cooler months of January and February.